Is your Spanish customer not paying your invoices? In Europe, the Spanish are known for their laid-back attitude towards terms of payment. Your Spanish trade partners feel less pressure to pay your invoices on time. Even the Spanish government is known for being a late payer. Spanish companies often operate with long periods of payment in comparison to other European countries. If you want to start proceedings against a Spanish company, you should be aware that Spanish legal institutions are geared to the protection of debtors. This means that you, as creditor, have to exert more effort to obtain payment from a Spanish company. 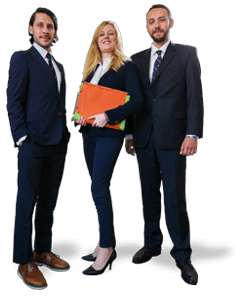 Our Spanish debt recovery lawyers have the means to make your debtor pay. We have an office in Barcelona, which means we can effectively collect your Spanish claims. Are you unable to resolve the matter together? Send a demand letter by registered post (“burofax”). Preferably, enter into written agreements. 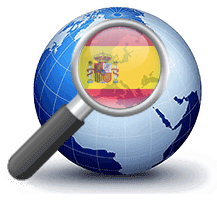 Our Spanish debt recovery lawyers have extensive experience and knowledge of Spanish legislation and regulations. In addition, they are fully aware of commercial traditions and culture in Spain. That makes it easier to get your Spanish debtor to pay quickly. Our lawyers speak both your language and Spanish, which allows them to overcome language barriers with ease. The debt collection process in Spain can be divided into two stages. During the extrajudicial phase, collection takes place without Court intervention. During the judicial phase, we do involve the Court in order to make your Spanish debtor pay. Because we are a law firm, we can assist you during both stages. In Spain, most matters are resolved during the extrajudicial phase, without Court intervention. Registration on the black list: Our Spanish team can also register your debtor on a black list, (the “ASNEF”). Companies registered on this list often experience difficulty finding new trade partners or maintaining existing relationships. Moreover, it is often difficult for companies on this list to get further credit. As your customer undoubtedly wants to prevent that, this is a good means of exerting pressure.